FULL EVENT REPORT COMING SOON! A very special event will coincide with this year's DEVOtional! Sat. 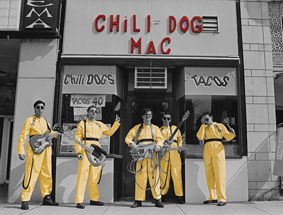 Aug. 15th events start at 11am-1pm in AKRON for a SPECIAL UNVEILING OF A PERMANENT DEVO STREET ART INSTALLATION based on the classic "Chili Dog Mac" photo by Janet Macoska (snapped on the streets of Akron in 1978). Presented as a tribute to DEVO and the City Of Akron by the Akron Civic Committee. The speakers will start the unveiling ceremony at 12 noon. Free food starts at 11am! Guest: GERALD V. CASALE of DEVO ! FREE CHILI DOGS & TACOS! 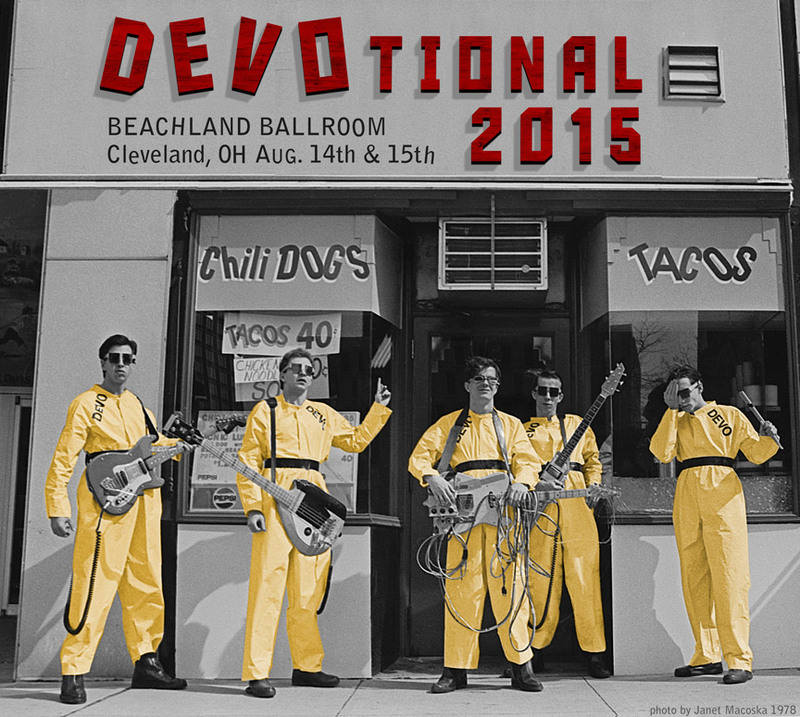 Afterwards we will all meet at The Beachland Ballroom for the DEVOtional 2015 in Cleveland at 2pm for the rest of the day & night (featuring Guest Speakers, Live Bands, a never-before-seen DEVO concert movie, and much more!). 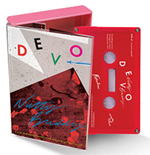 Our friends at FUTURISMO, the label which released DEVO's Miracle Witness Hour album, have graciously offered A FREE LTD EDITION CASSETTE TAPE featuring a song from the Miracle Witness Hour show which didn't make it onto the vinyl or CD - "Nutty Buddy", a very early DEVO track. Complete with full color graphics on mass-produced cassette. THESE WILL BE OFFERED TO THE FIRST 100 DEVOTEES WHO PURCHASE TICKETS IN ADVANCE! EASTWOOD GUITARS is donating a SIGNATURE BOB1 LABAYE 2x4 GUITAR for us to give away at the event. 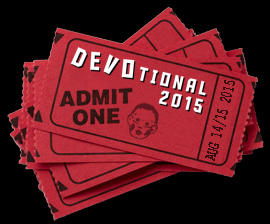 Attend DEVOtional 2015 to find out how we'll give it away! You could be the lucky spud! Live Bands, Special Guests, Doorprizes!